Hunting for Thermocouple Manufacturers In Delhi? Sunrise Products is your one-stop to reach. We have the best quality and diverse range to offer. Our offered thermocouple is the most used temperature sensor, which is mainly used for the purpose of measuring the temperature process. It consists of two metal wires, which are connected with each other to ensure proper measurement of the temperatures. It also has a screen that demonstrates the reading and controls the same. These Thermo Couples are known for their durability, reliability and dependable performance. Electric Thermocouple Sensor is very much useful and helps to sense the temperature, which makes it easier for the user to predict whether it is ideal for your application or not. Their customized designs are easily accessible, as we have a team of trained and expert people to meet different requirements of the customers. 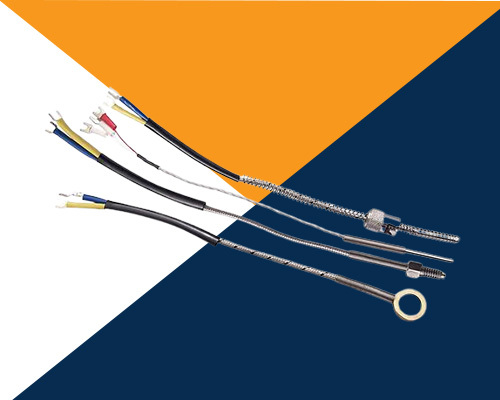 Being the most dependable Temperature Thermocouple Suppliers and Exporters, we quote you a reasonable possible price and serve full assistance even after the sales take place. We are only a few steps away to answer any of your queries that you want us to answer before investing in them. Call us or drop your email directly into the inbox now.